I love this — great composition and the color and shadow are wonderful. Simple and beautiful. Great shot and processing. 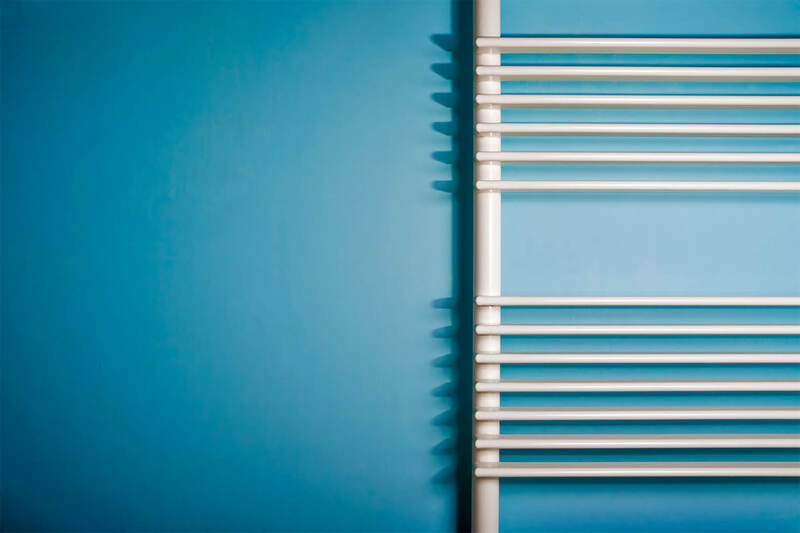 My wife wants a heated towel rail but that’s another story (or more likely another DIY job :/). I like the composition in that the the radiator isn’t presented complete. And the soft blue has a bathroom feel to it. Elegant. Brings music to mind. Nice and clean shot. I like your style. Absolutly love. I wish I had your eye. Simple but original composed with nice blue tones. Like the framing in your shots. very refreshing. love the simplicity of the clean lines and lovely blue. Subtle lighting and tones – cool work. I love the composition and colours on this — a very striking, graphic abstract! All your work is extremely professional. We will be honoured if you sign my husband’s guest book.And i really appreciate your opinion. Thanks so much for sharing, keep up the excellent work. I love your minimal style! Good colors! dunno why, but it works and i love it! I’ve decided to buy myself the 5D before I head to San Francisco in July I can only assume you would give it two thumbs up…right? ~btezra~ – definitely, it’s what you can see through the view finder that makes the difference…so big and clear.